With the ever increasing need for information security, VPN’s are becoming an essential part. Although important, VPN implementation can be slightly challenging and in some cases repetitive. For instance, at home office, I prefer to use VPN on all the connected devices and try to impose the same for the rest of devices on home network. The problem here is multi-fold, all the devices need to be setup individually; restriction imposed by VPN provider regarding maximum simultaneous connections; and the worst of all, ensuring that all devices are constantly connected to VPN. This is where routers from FlashRouters come into picture. They provide routers flashed with DD-WRT/TomatoUSB firmware with VPN of your choice customized out of the box. Yes, this basically means FlashRouters carry out the daunting task of replacing router’s firmware with DD-WRT or TomatoUSB and setup any VPN (supported providers) you want! All that is left to do is, install the router and start using it. Courtesy FlashRouters, I was able to circumvent this time consuming process by replacing my damned Bell Home Hub with Linksys WRT 1200AC. Speaking about the router itself, having been released almost two years ago, it has stood test of time. In terms of physical appearance, the router has a perforated top (acting as heat vent). It rests on four plastic feet, giving the router an elevation enough to allow air passage. There are two detachable antennas, supporting embedded beam forming technology, and a number of ports (power switch, a reset button, a power connector, USB 3.0 port, eSATA/USB 2.0 connector and 5 Ethernet ports), at the back. In the front, there’s a big, flat panel carrying lots of status lights up, representing port usage and WiFi connection status. Performance wise, Linksys WRT 1200AC carries 256 MB RAM, Marvel 88F6820 SoC, and a dual-core running at 1.3 GHz. It supports maximum transfer rate of 300 Mbps on the 2.4 GHz band and 900 Mbps on 5 GHz, theoretically that is. These details might sound redundant at first but DD-WRT flashed routers are much more than the traditional routers. They are capable of doing much more, acting as web server, file server, for example. 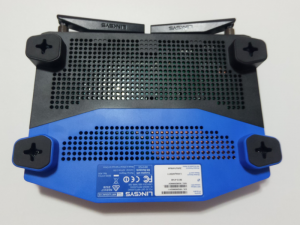 Where the router really shines is the fact that it is ordered from FlashRouters. At the time of placing order, you can get the router pre-configured with the VPN of your choice (and the location as well). This means, you can simple replace your existing router with the one ordered from FlashRouters and you’ll have VPN up and running instantly! No need to go through the daunting process of flashing custom firmware or setting up VPN. FlashRouters handle this for you. In my case, I had to simply put my existing Bell Home Hub in bridge mode, disable its WiFi function and use Linksys router instead, with Express VPN pre-configured and ready to use. This moment onwards, all the devices connected to router were automatically connected to VPN network. No need to install and setup clients on different devices or guide people for keeping an eye on VPN connectivity status. I can manage the VPN connectivity status at router level as well as location (to which it is connected) and not be worried about the 3 simultaneous connection limit imposed by Express VPN. Time saved. Life simplified. Protection ensured! Needless to say, you need to have a valid VPN subscription to configure it with router. The choice of VPN provider is yours though but it is better to have one supported by FlashRouters. However, having a VPN is not necessary for to use the router itself. So, if at some point in future, you change your mind, the router will serve well. Ordering a router from FlashRouters offloads a lot of work you would otherwise have to carry out. Especially the horrid task of flashing DD-WRT all by yourself, since changing firmware can potentially break your device during the process. The downside with ordering routers from FlashRouters is that third-party firmware installation invalidates router warranty (with its manufacturer) but FlashRouters make up for it by providing 3 months of warranty. They also have other Support plans with prices being upward of 100 USD (sold separately). Additionally the routers are slightly expensive. These differences aside, if you plan on using a VPN service and want a blanket protection for all the devices connected to the network, then the option of buying from FlashRouters is a great way to go about doing so. You’ll be saving a lot of time, headache and certain amount of money (since using 1 subscription will cover all the devices!). Moreover, the additional cost easily offsets the benefits FlashRouters offer. 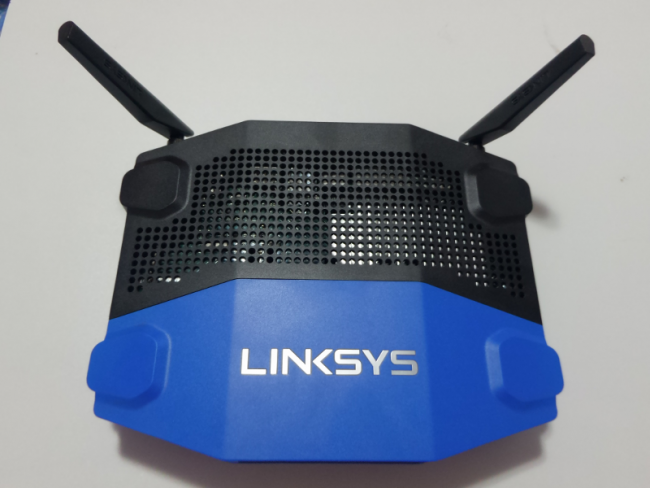 Linksys WRT 1200AC from FlashRouters is available for 299.99 USD (currently on sale) and can be purchased directly from their product page here. Nice catch though! To your point, I wouldn’t really go as far as saying their products has “bugs” but rather they need proper documentation and full disclosure with regard to supported browsers (and platforms, if need be). I’m a retired IT support manager for 15 years and in IT for over 30 years and not stupid. Unfortunately for me this was relatively new technology to me. 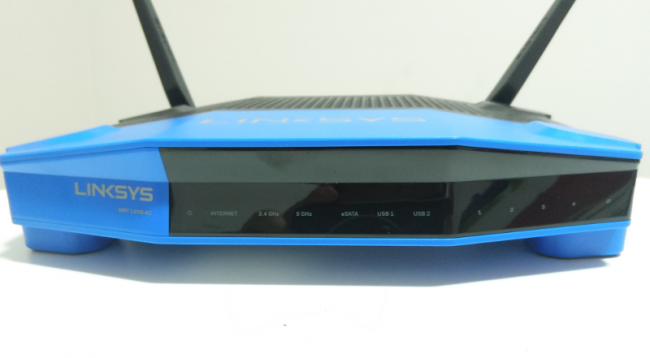 I have installed, configured and utilized many routers in the past, I had purchased a Linksys AC4000 5 months prior and it operated perfectly. I recently purchased a Linksys WRT3200ACM preconfigured router from Flashrouters after utilizing the desktop version of expressVPN from expressVPN. Following the instructions for the install and configuration had flaws in it and the installation did not go well. After many wasted hours of chats, and a couple of days, with various support team members I got nowhere. Finally, I stuck out on my own experience and background and had some success. While testing the various options in the Router application I discovered the “VPN Connection” option only produced a blank screen. According to instructions on the internet this option would allow you to change which server you want to utilize. Finally, I had to go back to Flashrouters once again to the various support team members and wasted more hours on chats. I was eventually informed that this option would NOT work on the IE browser and that the browser had bugs. I was told to download Chrome or Firefox and attempt that option. It finally worked successfully when I downloaded the Chrome browser. How can you market a product that only works properly on certain browsers, let alone not on one of the most popular ones? To recap, you will need to operate 2 separate web browsers while utilizing the Router application to get the full functionality of the router OR switch from the IE browser to Chrome or Firefox. Router VPN great concept, this product has bugs in it that need addressing. In addition, that there is no phone support and adds hours to solving support issues but saves the company a few dollars. Lastly, the competence of the various support members in many cases left a lot to be desired. BEWARE before you purchase this product and be aware of what you are getting for high price.